In my previous post, I described how I discovered the ancient Jewish quarter of Lorca, Spain, and chose it as the setting for the historical story of By Light of Hidden Candles. 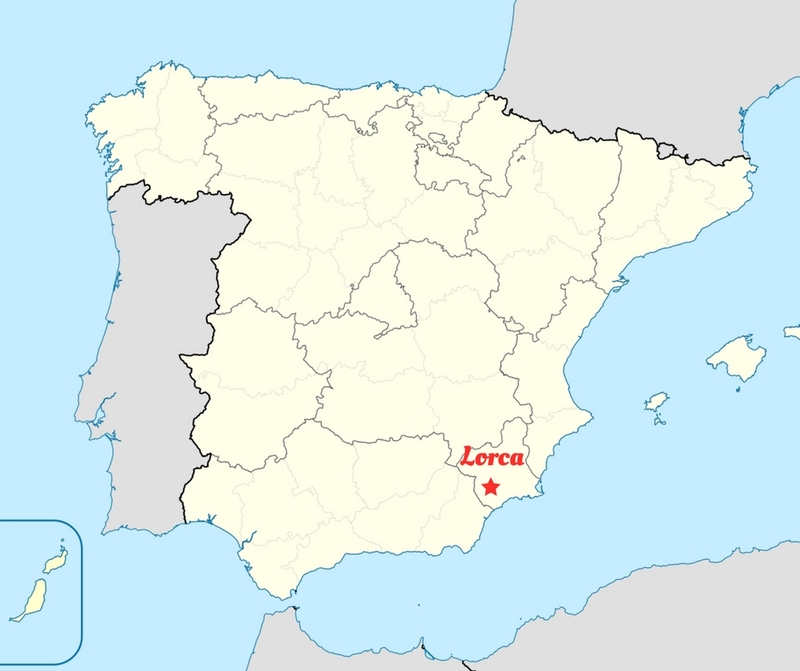 Lorca is a city in Murcia, the region in eastern Spain tucked between Andalusia and Valencia. 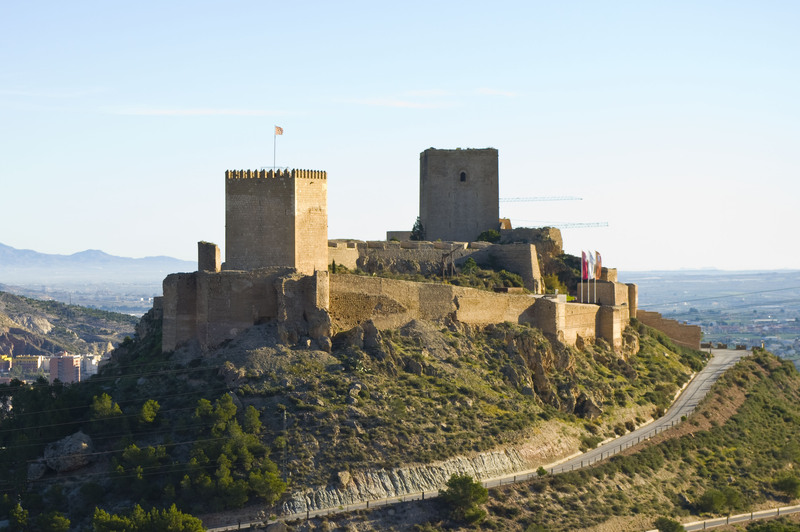 Its most famous feature is its hilltop fortress, Fortaleza del Sol, built during the Middle Ages. In 2002, excavations for the construction of a hotel in the fortress unearthed the remains of the ancient Jewish quarter that had once thrived in the city. Prior to that discovery, it was known that there had been a significant Jewish presence in Lorca, but no one knew exactly where it was located. The discovery of the Jewish quarter, its ruins and artifacts, opened up a treasure trove of information about this community. 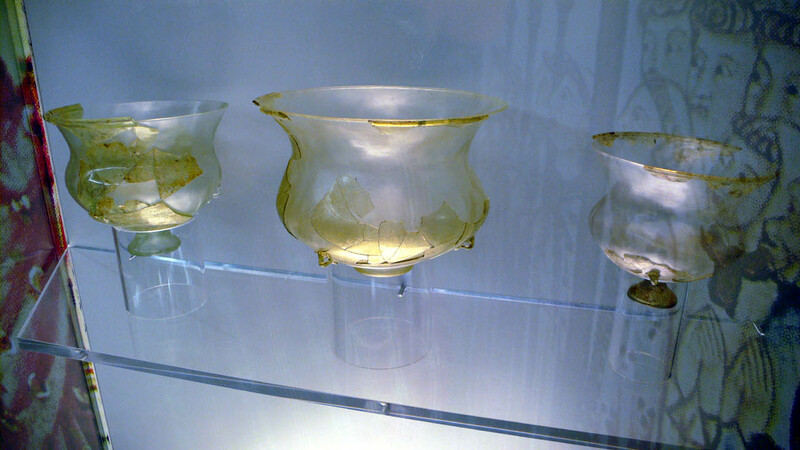 Archaeological evidence indicates that there were Jews settled in Lorca prior to the conquest by Castile in 1244, but there is documentation mentioning their presence from the mid-13th century up until the expulsion of the Jews from Spain in 1492 (particularly during the 80 years preceding the expulsion). In the early 15th century, the community grew substantially, and that’s when the magnificent synagogue was built. It is the only known medieval synagogue in the country that was never converted into a church. 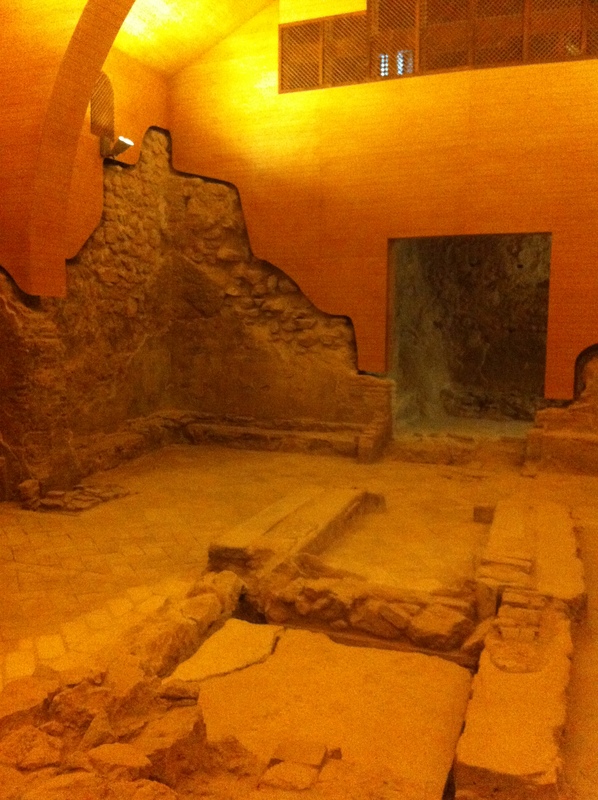 The Jews of Lorca enjoyed a relatively quiet and protected life thanks to their location inside the fortress. In 1391, for example, when a wave of murderous pogroms swept over the Iberian peninsula, the Jews of Lorca were unaffected. In those days, Jews were considered property of the king, and the allocation of a Jewish quarter was often a measure taken by the Crown to protect Jews as well as keep them separated from Christians. As in many other places in Spain and the rest of Europe, Jews constituted a vital component of the city’s economy. They engaged in a wide variety of trades, and due to their connections in other Jewish communities in Murcia and in Granada, they served an important role in commerce over the border. Though the laws of the land were established to maintain separation between Christians and Jews, there was a great deal of cooperation between them, in Lorca as well as in other Castilian cities. Many of those laws were not strictly enforced, and Christians and Jews often engaged in commerce and business together. 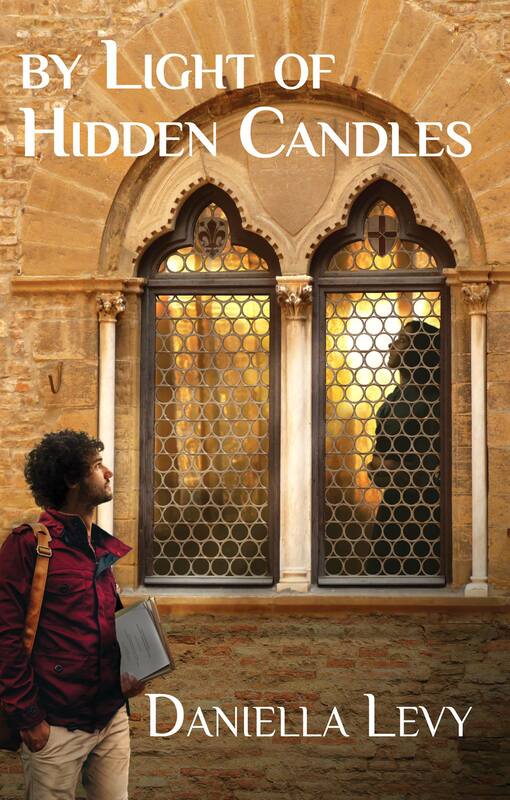 In By Light of Hidden Candles, we meet a Jewish spice merchant, Abraham de Carmona, and his Christian business partner and friend, Don Tomás. Jews remained in the city of Lorca right up to the expulsion. In the previous post I linked to a few videos showing more detailed 3-D virtual reconstructions of the judería, the interior of the synagogue, and one of the large homes discovered in the center of the neighborhood. Today, you can visit the fortress and the excavated Jewish quarter. In By Light of Hidden Candles, we follow NYU students Alma Ben-Ami and Manuel Aguilar as they step into the reconstructed synagogue. 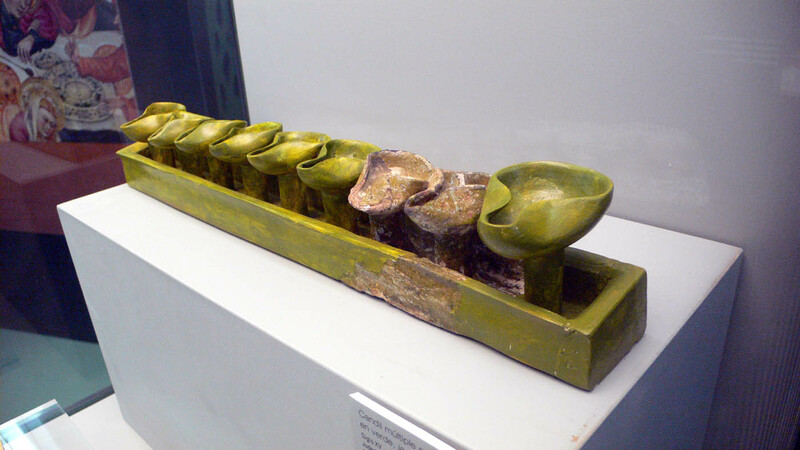 We also follow them into the Archaeological Museum of Lorca, where they view artifacts discovered in the Jewish quarter, such as chanukiyot (Chanukah lamps), ceramics, and glass lamps.